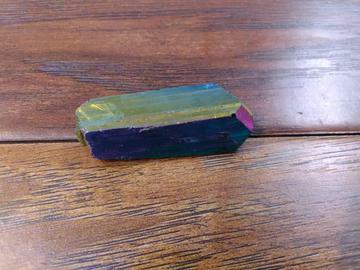 Rainbow Aura Quartz is Clear Quartz bonded with Gold and Titanium; produces vivid multi-colored metallic crystals. It is supportive for those in dysfunctional relationships, by letting one see what lies ahead and helping to release negative emotions such as resentment or grief. It brings deep insights into one’s relationships at all levels, and aids letting go of karmic ties that may be hindering relationships in the current life. This transformed relationship then becomes vital and harmonious. 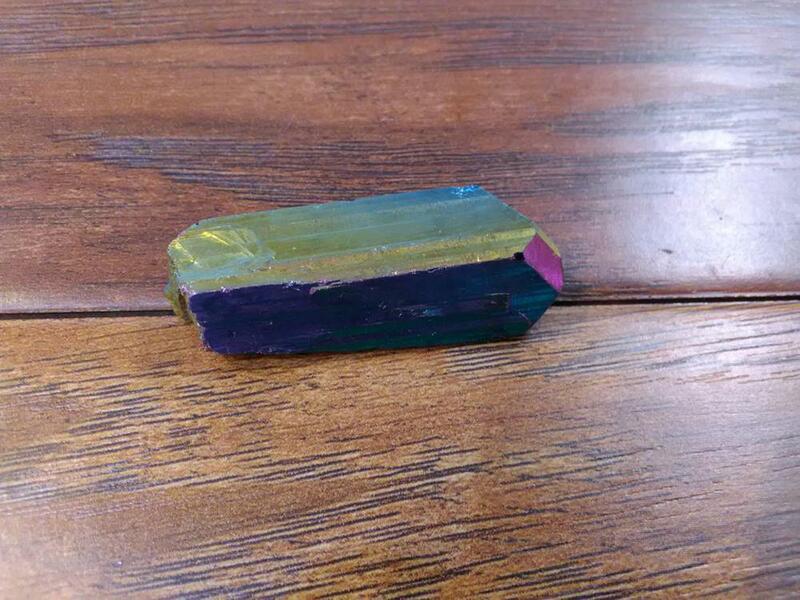 Rainbow Aura is a master healer for any condition, and is highly beneficial in multidimensional cellular memory healing. It is an efficient receptor for programming and bringing the body into balance.